For a while now, I have been disturbed about the state of documentary programmes on Radio. I think I ranted about that a bit in the tutorial where I explained the Types of Radio Interview and How to Handle Each of Them. That came off when I was discussing Investigative Interview which is an important practice in creating a documentary. That was just one in some more moments when I express my disillusionment about the failing trajectory of Radio Documentary. I don’t know exactly why I am. Just maybe because I love storytelling and found companionship in Radio. Anyway, more frustrated was I when during a broadcast training on Features and Documentary that I attended; the tutors did not do justice to the art of creating documentary for Radio. As a matter of fact, they kept confusing themselves (not me) on the simple definition of documentary. Therefore, I have embarked on the journey of scavenging everywhere for the best knowledge on the true art of creating awesome Radio documentary. What I have gathered so far is what I am sharing with you in this tutorial. Let’s start here! In my journey to find out what documentary is exactly, I stumbled upon the words of foremost Scottish Documentary filmmaker, John Grierson. By the way, Grierson himself coined the word documentary in 1926 when he was reviewing Robert Flaherty’s film – Moana. ‘Documentary is the creative treatment of actuality’. Grierson simply summed up everything that documentary is about is just 7 words. Now, let’s pay attention to the keywords here. That is ‘creative treatment’ and ‘actuality. These are the two most important elements of a documentary. This describes the original story that you have gone out to cover. It includes the feeling that comes with the story to the personality involved to the gentle strides at the river bank to the ambience and intermittent chirping of birds in a monumental space to the ruckus in the market. All these are the actualities and raw materials of the documentary. This is the artistic way by which you have linked whatever raw materials you have gathered to tell a compelling story. Documentary tells a lot about who we are as a people, how we see our immediate environment and the world at large. It explains our values and our perception towards them. It is set out to document history, issues, persons, festivals etc in the society. The essential purpose of documentary is to present a story with total regard for honesty and balanced reporting. Give a thousand documentarians the same story to produce and you will get a thousand productions with each of them telling the story in a different way. This is because storytelling which is the backbone of documentary is subjective. I once watched a documentary by Broadly on the Kumari Goddess of Nepal. The elements (persons) who were interviewed for the documentary glorified the Nepalese tradition of worshipping a living goddess manifested in the body of a young girl whose feet is never allowed to touch the ground but the narrator in the documentary was saying exactly otherwise. Now, Let’s Talk About Radio Documentary? Checkup the word ‘Radio Documentary’ on Google and this is what you will probably get on Wikipedia. ‘A purely acoustic performance devoted to covering a particular topic in some depth usually with a mixture of commentary and sound pictures’. An awesome Radio Documentary is keen on something; an incidence; an idea that begs to be discussed; There must be something at stake. Something surprising and something to be discovered. All these have to be done with sound. The sound of the human voice, of inhalation of breaths, of pauses, of silences, music, the place of activities, the words spoken and the rest unspoken. This makes you see with your ears. Radio documentary for one banks on all the elements of expressive arts for its inspiration. From investigative journalism to non-fiction to poetry, theatre, music, acoustic art to filming, it is a product of all of these. How Do You Get Started With Radio Documentary? Now, I have come to admit that the reason why people run away from Radio documentary is because it involves a cumbersome production. If you are not obsessed with storytelling, you probably won’t make a great documentarian. Radio documentary involves a cumbersome production. If you are not obsessed with storytelling, you probably won’t make a great documentarian. Nevertheless, Radio Documentary is infectious. So if you listen to a lot of Radio documentaries, you might be enchanted to venture into creating one. Endeavor to listen, that too analytically. Pay attention to the syntax of radio documentary and the rich array of styles and approaches in the narration. Radio Documentary is a product of the human voice. You might want to be sure that you have the perfect voice for the narration. If not, you can consider getting a perfect narrator for your production. A good radio voice does not automatically translate to a good voice for Radio documentary. After deciding on what story to work on, get on the field for the actual work. Your work starts with investigative interview. Interview the people that surround the story, witness the story or can relate the story as passed on to them over time. Get them to tell you something important about the story you are working on. How it happened when it happened to who it happened to. What was the effect? Ask simple questions. Be sure you get a beginning, middle and an end to the story. Also ensure that you make a high quality recording. Then start editing. Cut the story paying attention to the direct narratives than the complements. What you’ll get eventually is one person telling a compelling story about a significant episode in their life. One voice! It’s that simple but a good challenge if you’re just beginning. 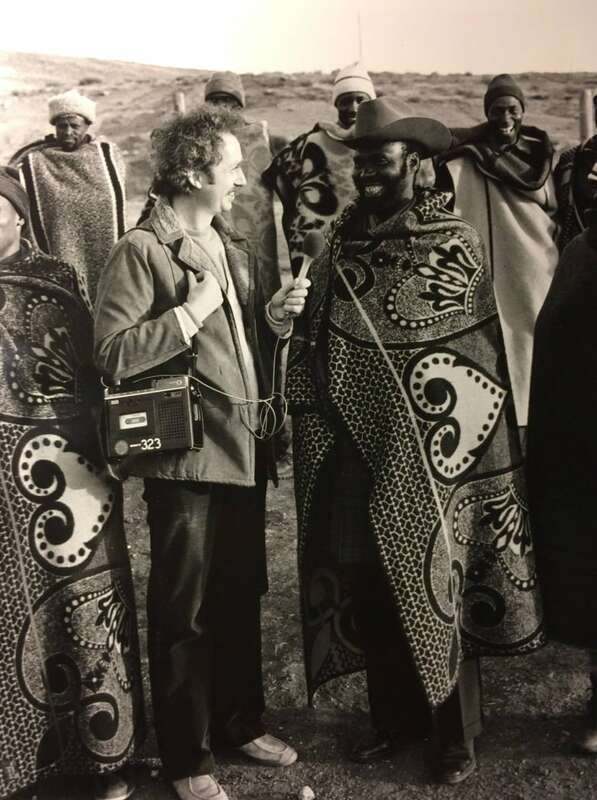 A Radio Documentary is only facts compiled in an eventful reproduction of a story with written records, attributable sources, contemporary interviews, archival records, comments and quotations from people. It portends real people, real experience, real situation, real setting. The inserts are genuinely taken from life as it is. A documentary is limited in time, place or location. Also, there is total absence of commentaries or interpretation and minimum narrations. The inserts are allowed to tell the story. Apart from educating and presenting information, a documentary must be able to persuade and influence the listener in one way or the other. Documentary has a single motive which is to expose the subject that is being documented. The general principle of planning other programs is also applicable in planning a documentary. However, special attention must be paid to the points below while producing Radio Documentaries. The title of the documentary should be self-explanatory since it is a balanced story. There may be need for an explanatory subtitle which is a-times used to indicate period of documentation. It must be relevant to the listener. The program should be acceptable to the public. This is subject to the abstract or concrete nature of the program. The sources, testimonies, resource person and places add credibility to the program. Research: Research exposes you to a wider range of topics. Recording of actualities: A documentary is supposed to be neutral. An outline in documentary is only perfect if it is tentative. A good documentarian documents or records as much actualities as possible. For a 30 minutes or 60 minutes of program, you may record 30 to 40 actualities. By this practice, the highlight of what goes into the program will be subjective by selecting and editing of the actualities. Thoughtful selection: This is an essential selection of the necessary points from the numerous inserts gotten from the interview you conducted. Editing: This involves the patching of inserts to get the concise and precise information. Arrangement: This is the sequential compilation of the inserts. While doing this, ensure that the arrangement is not subjected to the narration. After conducting the interview for a documentary, the documentarian does not need to articulate the topic further but the links and connectives are capitalized upon to do that job. Scripting is just needed to link the different inserts. Script writing in a documentary is seen as a single content. The writer of the script is expected to be the producer as he adds up practical experience captured in the course of the documentary. He knows which actuality and in what proportion will give effect to the program. Rehearsals are important, with narrators, speakers, effects, music and other part of the production crew. The music and effect to be used should be in consonance with the theme of the documentary. It is all about relativity with a good storytelling. Well, documentary is such an expansive topic to discuss. I’m sure this will get you started and it can always get better. As much as Documentaries on Radio is limited, there will always be a place for it someday because stories are told in more ways than just one word! So, go into the world and produce awesome Radio Documentary. If you find this tutorial worthy, you might want to share with your friends. Don’t Forget to Follow Us on Facebook, Instagram and Twitter to stay updated.